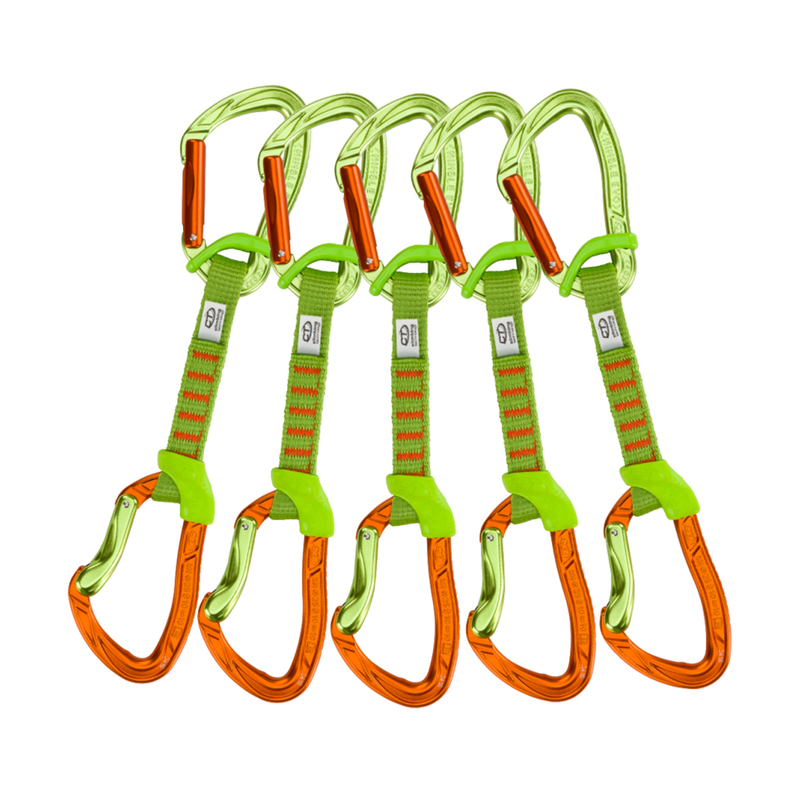 The Climbing Technology Pack 5 Nimble Fixbar Set NY is a 5-pack of the robust and fully-featured Nimble Fixbar sport climbing quickdraws with a slightly higher breaking strength than most other draws on the market—25 kN. This makes it one of the most durable and strongest quickdraws available, ideal for any avid sport climber, especially those who work a lot of routes. Standard sport draw features include rubber retainers to prevent cross-loading and a bent gate on the bottom 'biner to facilitate clipping of the rope.